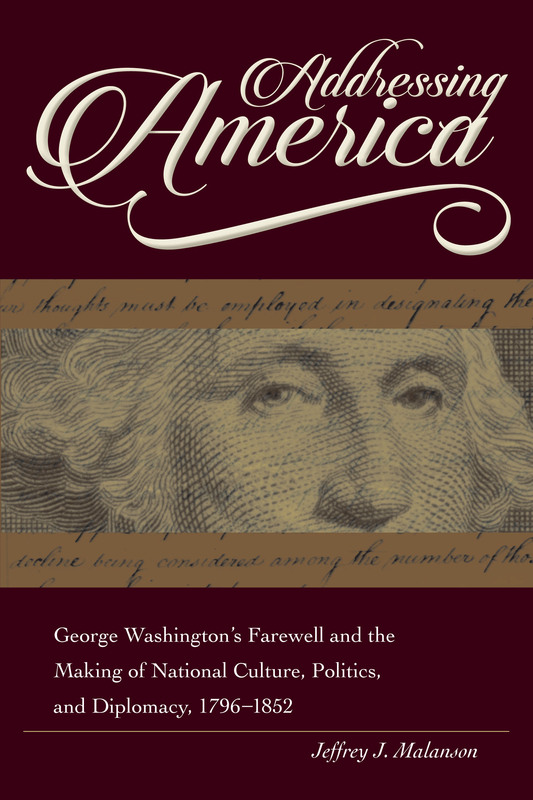 Addressing America investigates the American attachment to George Washington and his presidential Farewell Address in the first half of the nineteenth century. In the Farewell Address Washington presented general principles to guide U.S. foreign policy. Washington believed that if the United States stayed true to these principles the country would eventually attain national greatness and international respectability. The enduring influence of the Farewell Address with nineteenth-century Americans stemmed directly from their enduring devotion to Washington himself. Washington’s Birthday and Independence Day were the only holidays celebrated by most communities throughout the young country each year. When citizens gathered in town halls, city commons, and local churches to commemorate Washington, engagement with the Farewell Address was a cornerstone of their celebrations. This annual rededication to Washington’s principles made the Farewell Address the central text through which citizens of the early republic came to understand the connections between the nation’s domestic and foreign ambitions. Addressing America was published by The Kent State University Press in Summer 2015. The book can be ordered on Amazon.com and other major book-selling websites. An audiobook of Addressing America is also available. It can be ordered on Amazon.com and Audible.com. Review by Stephen Tuffnell for Reviews in History. I was interviewed for The Author’s Corner series on John Fea’s history blog, The Way of Improvement Leads Home. I sat down to talk about Addressing America for the Faculty in Focus video series sponsored by IPFW’s College of Arts and Sciences.